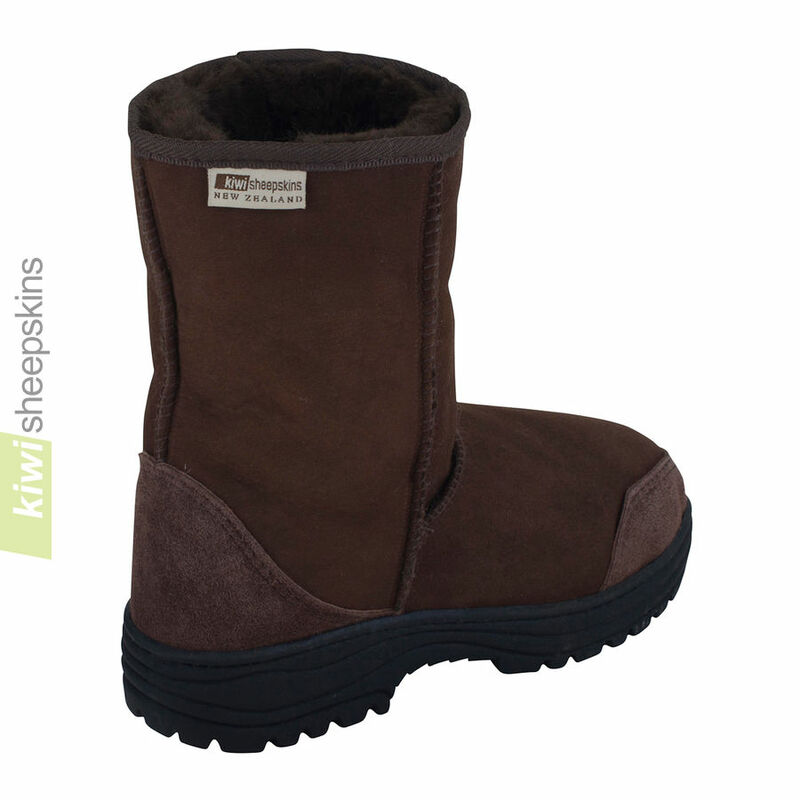 Top of the range sheep skin boots, handcrafted in New Zealand to highest standards and made from top grade sheepskins from Australia or NZ. 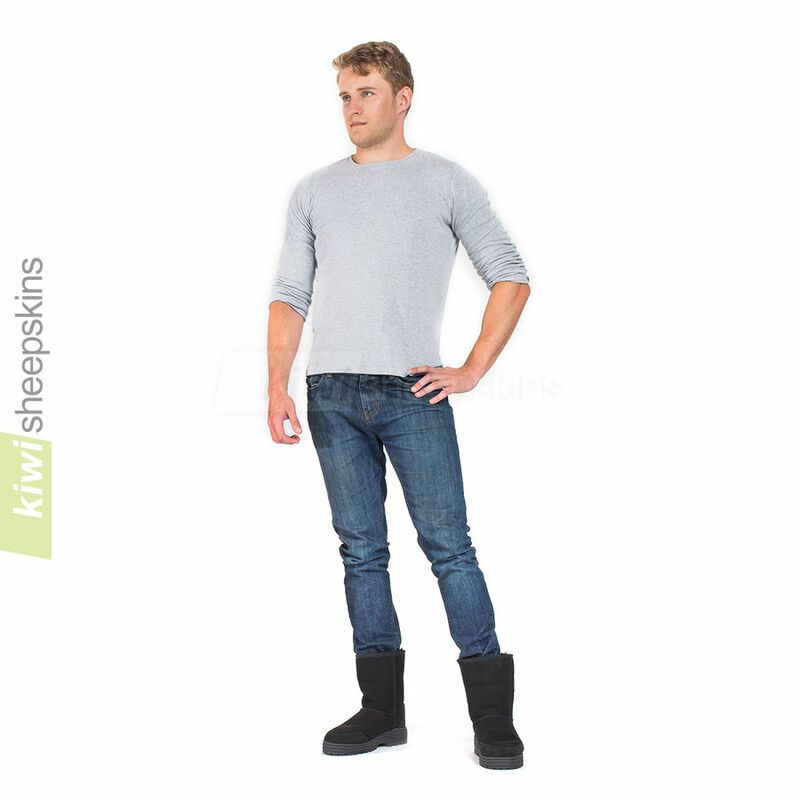 Our top-of-the-range extra durable mid-calf sheepskin boots have been carefully handcrafted in New Zealand to the highest and most exacting specifications, and are made with top-grade sheepskins from NZ or Australia. NOTE: Chocolate color may vary from images, sometimes it will be less reddish. The outer side of black color sheepskin may be a charcoal grey and not true black. Also note that for darker colors of sheepskin footwear, especially black, some dye transfer may occur during the first few wears. The color of the insoles for Black and Chocolate color boots may sometimes be white/cream. Customers are absolutely thrilled with our Ultimate Mid Calf boots. I was shopping for some versatile boots that are warm and look good, but can also stand up to the rough extremes of the high desert. I looked at different brands and then decided to order the Ultimate Kiwi Sheepskin Boots Mid Calf with the sturdy sole because every surface here is rough and sharp. I just put them on and these boots are everything! Comfortable, warm, nice looking, sturdy without looking industrial, and I ordered them late Tuesday afternoon (which was Wednesday there) and I have them on Monday! From New Zealand to Arizona!! Don't wait a day, order them now. 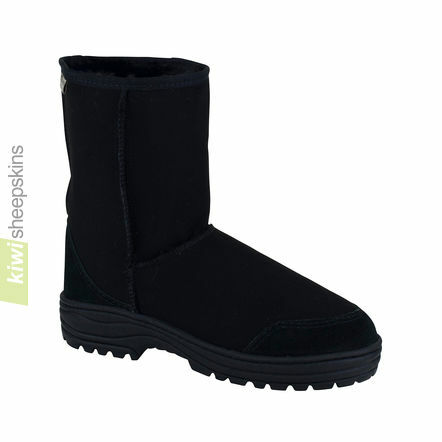 My Kiwi Ultimate mid calf boots arrived today ---7 days from order. 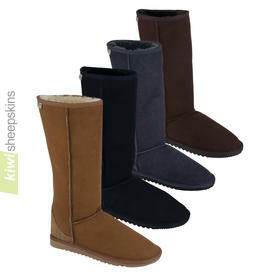 Ugg certainly has a lot of catching up to do in the areas of quality, price, service and professionalism. As an Australian I wish you well and all the success you deserve -----not yet ready to wish the All Blacks the same success! Thank you very much, I have already begun to recommend your Company. I just wanted to let you know how impressed I am with your company. Your customer service is wonderful and your product is quality through and through. Congratulations on your company philosophy of quality products and service to your customers and not taking shortcuts on either. The reason I ordered from your company was that I felt that I was being used to help a popular company's bottom line with an inferior product that was declining in quality every year and a company trying to ride on popularity alone which is a short term company philosophy. Kiwi has made a long term decision with their philosophy by realizing that a quality product and good customer service is what makes a loyal base of customers who will keep coming back for more. I had to let you know how pleased I am with my boots, slippers and gloves I purchased from you this past winter. My feet have never been so warm. I have not worn the gloves yet as the winter is just about over, but I will have them for next year. No problem with the sizing as long as the instructions are followed. I also got a pair of slippers for my husband for his birthday and he just loves them. The quality is first class! They arrived all the way from NZ to Cape Breton Nova Scotia, Canada in less than two weeks. Keep making your products in NZ, my happy feet thank you. My boots have just been delivered, lovely fit many thanks for an excellent service. 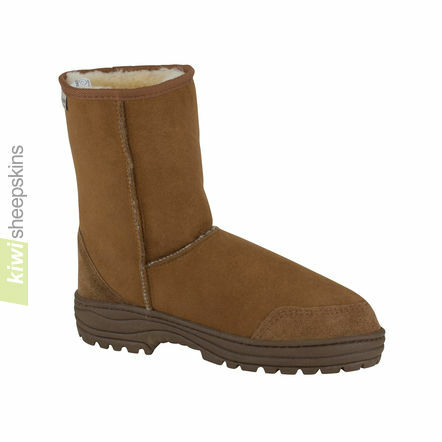 They seem a lot better built than my Ugg boots at a much better price. Cheers. Just wanted you to know how pleased we are with the quality of your boots. 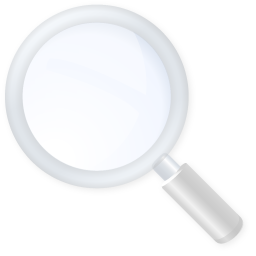 Your website was easy to use and very complete with sizing instructions. I wanted to send you this compliment because it isn't every day that a company and its products exceed expectations the way you have for us. Thanks! 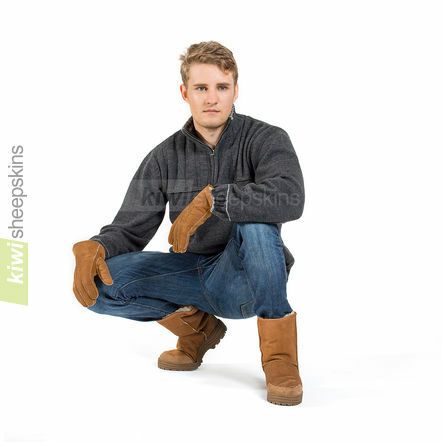 Just received my Ultimate Sheepskin Boots. I was amazed at the speedy delivery! I have to say that they exceeded my expectations. The quality is excellent and the price was outstanding, and what's even better is that they run true to size. I will happily refer your company to family and friends. Thanks again for an excellent product and great customer service! I received the sheepskin rug, uggies (uglies are what I usually call them but yours are by no means ugly) and slippers. I came home on this dark, cold winter's night to find your package on my doorstep and minutes later snuggled up on the new skin which is in pride of place on the sofa with the uggies proudly on my feet all warm n cosy. With thanks for your top quality products and service. I must say I am very pleased with ordering from this company. I actually found the site because I am on a feet journey. I love my feet and I am trying to take care of them much more because of my job. I stand all day. I have cold hands and feet and I always try to keep them warm. Most of the time I wear two gloves and double socks because of how cold my hands and feet will get. Now that I have found a boot and mittens for both hands and feet I am in love. I don't even have to wear socks anymore. Today I wore my boots and they were awesome. It's a bit funny but I look forward to winter now because I have my ultimate sheepskin boots: mid calf and my adult sheepskin mittens. Just received my boots - they are fabulous and arrived in 6 days - I am very impressed - they are just what I was after - a more robust version of the ugg! Thank you, thank you. I had a pair of boots that unfortunately tore at the seam and I tried to repair it unsuccessfully so then I contacted Kiwi Sheepskins and they sent me a new pair air mail at no charge! I am blown away by the service, kindness of this company. These boots are the most comfortable warm dry boots for frigid Canadian winters and I will never be without these great looking boots! Well done Kiwi! Very pleased with my new boots, only ordered on 3rd January and received them on Sunday 9th January, warm comfortable and definitely on a par with UGG Australia, but at a fraction of the cost, would definitely recommend this company to anyone. I received my order today of bootie slippers, ultimate sheepskin boots, baby lambskin gloves, and trapper hat! Thank you so much for such superior products...I highly recommend your products to anyone that is looking for comfortable, true to size, expertly crafted items! 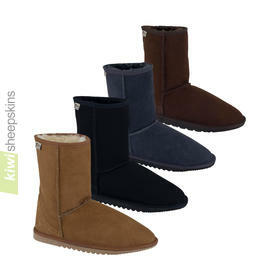 Uggs and minnetonka boots do not hold a candle to your sheepskin boots! Thank you! Hello! 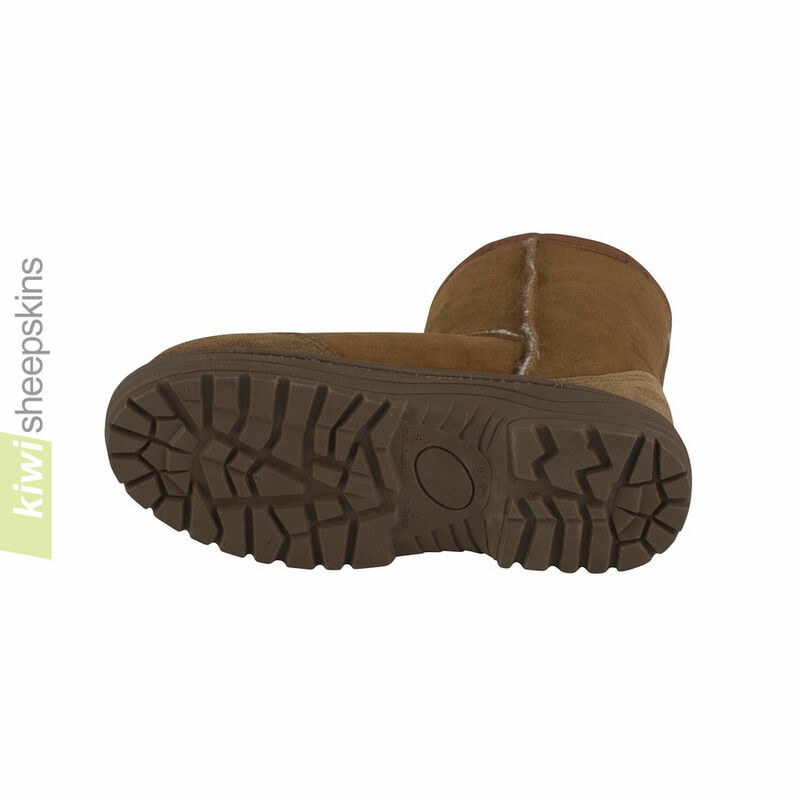 My name is Karyn and I wanted to send you a quick email thanking you for making the best sheep skin boots! I have had my Kiwis for about 6 years and every year at this time I pull them out of my closet and think to myself "Should I order a new pair of boots for this winter?" and each year I realize that I don't need to because my Kiwis are still in such great shape. I want to order new boots but I can't justify it because the soles look new, the leather is in perfectly good condition (just a little faded), the shearling is fluffy and the insoles are in excellent condition because I replaced them a couple years ago. I live in Northern California so our winters are very wet and rainy. I use my Kiwis as my rain boots because they have such a substantial sole in comparison to my Uggs Classic (which really are poorly made now). Each year I recondition them with the water protectant spray and my feet stay dry all season. I'm very tempted to order a new pair of boots this year and keep them as my "inside" boots. 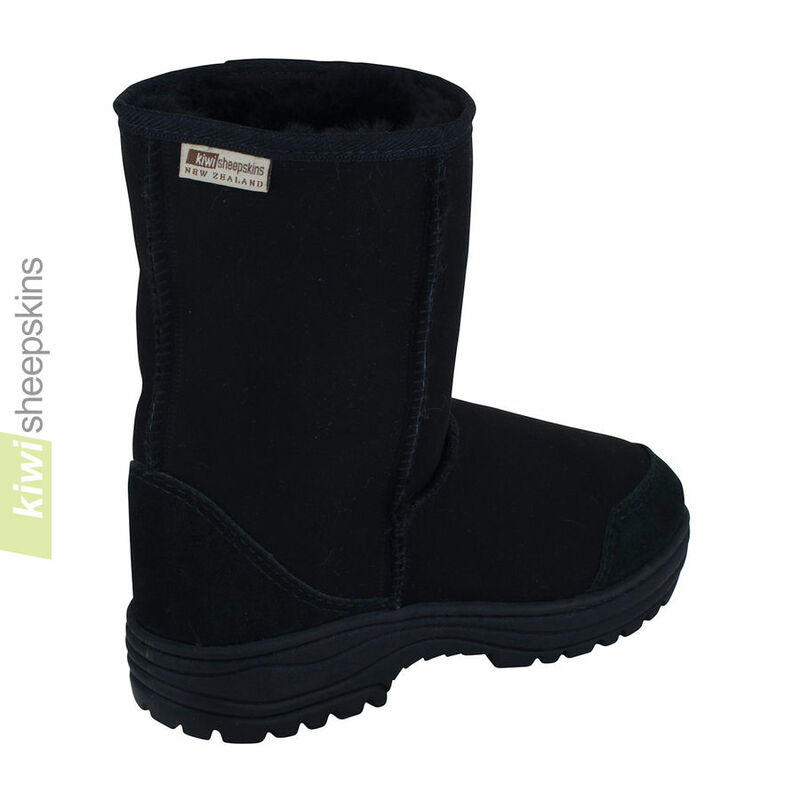 I will continue to spread the Kiwi Sheepskins love with my family (sister and mom already have a pair) and friends. Thanks again for the excellent product! 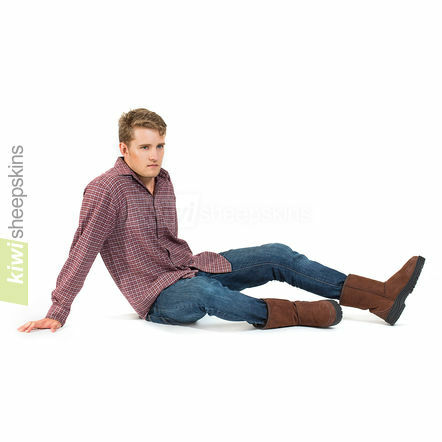 My spouse and I each bought a pair of the ultimate mid calf sheepskin boots.....we love them! They are the warmest most comfortable boots that either of us has ever worn. We bought a pair of mittens and just ordered three pair of slippers as well. They are a wonderful company with good products to sell. They are very customer service oriented and we are so glad we found them. I highly recommend this company! 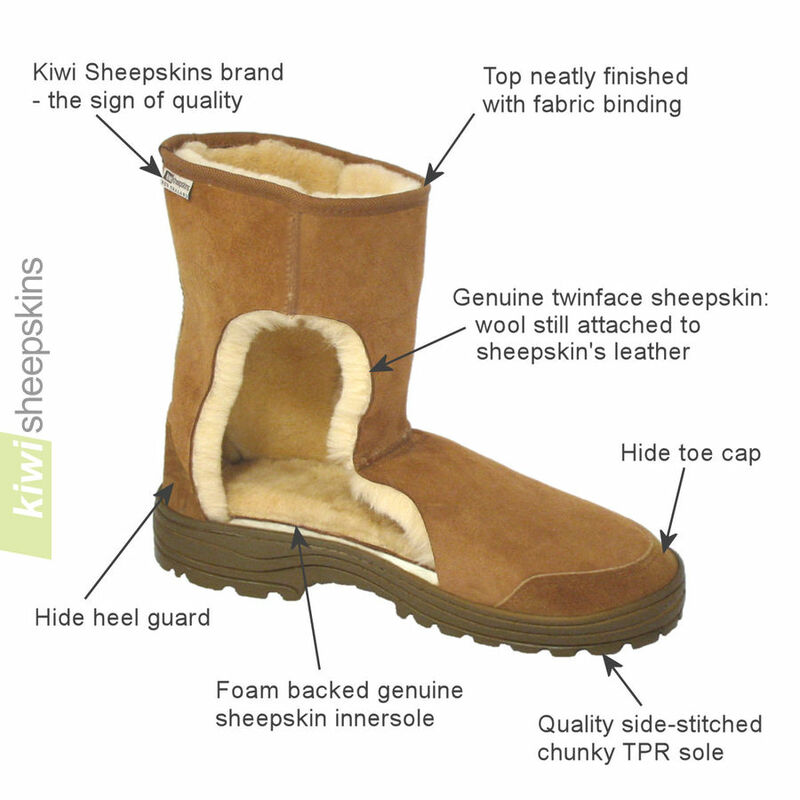 I have just received my Ultimate Sheepskin boots that I ordered last week. They have arrived quicker than other parcels that I am waiting for from the UK! 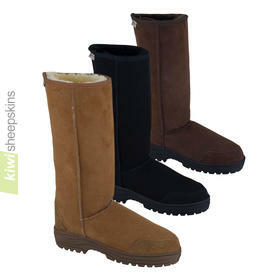 The boots are so cozy and better than the famous branded boots and also much cheaper. I will be recommending your company to all my friends and coming back for future purchases. Thank you very much. After doing some research for a pair of sheepskin boots, I decide to buy from Kiwi-Sheepskins company. 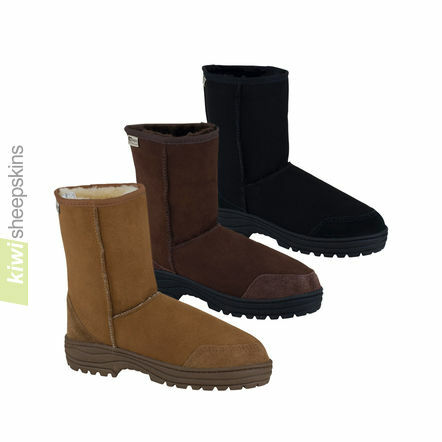 I personally feel that if you want to have a real, and good quality sheepskin boots, but do not want to pay silly prices like UGGS, then Kiwi-Sheepskins is a good choice. It is a very professional company, and their customer service are one of the top. Thank you so much, KIWI-Sheepskins company. I am very pleased with my boots. Heart medication does wonders for my heart but causes side affects, the most noticeable of which is freezing feet! I have tried everything - thermal socks, sheepskin shoes (not of your quality) - nothing has worked. Winters have been a misery. Then, I discovered your Ultimate Boot. Fantastic! I have even tramped around Estonia in winter & not been cold. Next on my list will be slippers, then some indoor boots. Thank you so much. 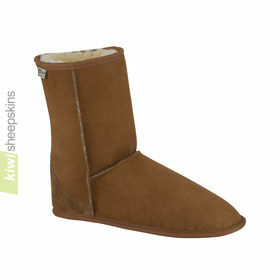 I just wanted to say how much I love my ultimate sheepskin boots! I've had them for a couple weeks now and find them to be very comfortable, warm and well made. After reading some of the customer testimonials I knew I wouldn't be disappointed with your product. Thank you for making such a wonderful product! I would just like to say how impressed I am with the service I have received, I ordered my boots on Friday 26th November and they arrived on Thursday 2nd December. I am totally 'over the moon' with them. The quality is superb, they are so warm and snug and have arrived in the UK just in time for the bad weather. Many thanks for your prompt service. I certainly won't hesitate to order from you in the future plus I will happily pass on your details to all my family and friends.